TSI Healthcare has combined the best Electronic Health Records (EHR) Software, and Practice Management functionalities available in the market and compressed them all into a single, easy to use, system that offers a requirement-based implementation plan for various medical practices. The user-friendly solution can seamlessly integrate a single medical database with four powerful tools –a specialty-specific EHR, a practice management system, a patient portal, and a research solution. This Health IT solution offers both, cloud-based and on-premise deployment. 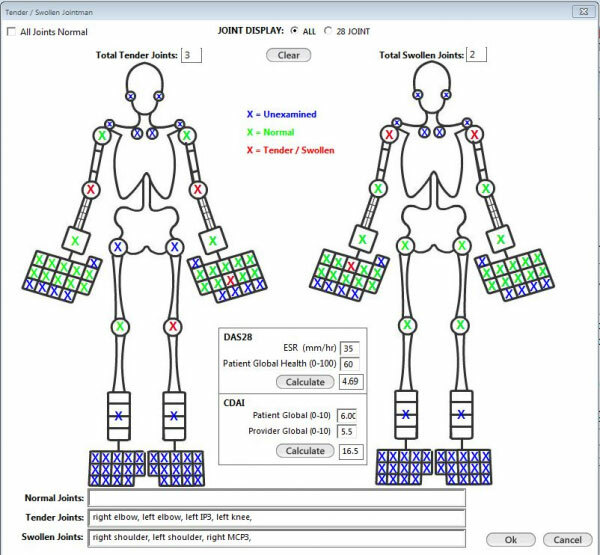 In its essence, TSI Healthcare has been developed for rheumatology practices of all sizes. It has built-in mechanisms which allow medical practices easy access to proper guidance and support from the company’s expert team of system engineers, practice administrators, and clinicians. 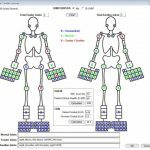 The software can also support numerous other specialties, such as pediatrics, pulmonology, ophthalmology, urology, and orthopedics. The cloud-hosting deployment of this software makes it a good Health IT solution for medical practices providing healthcare facilities in different locations. 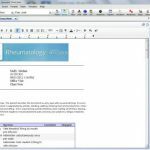 The system is HIPPA compliant and securely saves patient medical information in quality online databases. 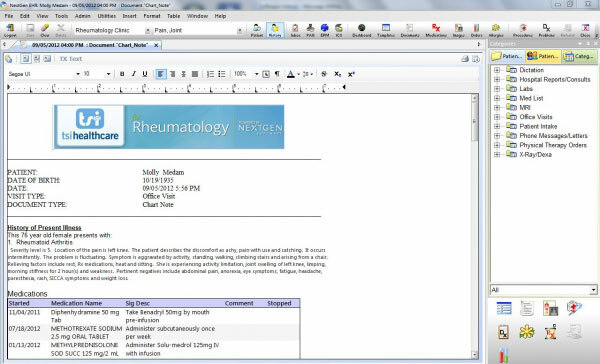 TSI Healthcare offers rheumatology-specific workflow templates for infusions, exams, and referral letters. Its data entry methods include a voice recognition system which saves time for the physicians using it. The system also features an automated health assessment questionnaire (HAQ) forms and comes complete with labs integration, e-prescription, and specialized documentation equipment. The patient portal offered with this system offers front office benefits and clinical staff benefits. The front office benefits include Real-Time Appointments & Booking, Appointment Requests, Secure Communication, Broadcast Messaging, and Online Payment Center. The Clinical Staff Benefits include Intake Forms, Prescription Refill Requests, “My Patient Chart??? Feature and Patient Research Center. The system allows practices to increase their revenue-generating encounters by identifying patient treatment opportunities. It also helps them to improve patient satisfaction through automated individualized patient care.